What does a Tony Luke's Franchise Cost? 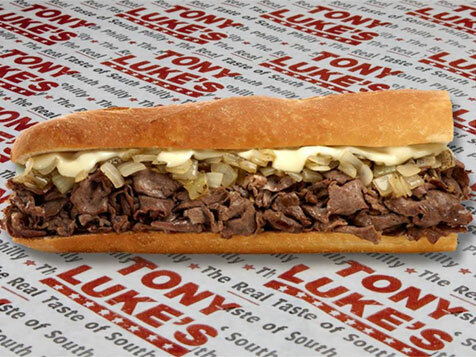 Stand out from the Rest as a Tony Luke's Franchise Owner! Are you able to build relationships, lead a team and are you motivated to succeed? Then Tony Luke's wants you to join their franchise family. Become the owner of a sandwich shop everyone seeks out. This award-winning franchise started as a small family owned business and has now grown into an international franchise. 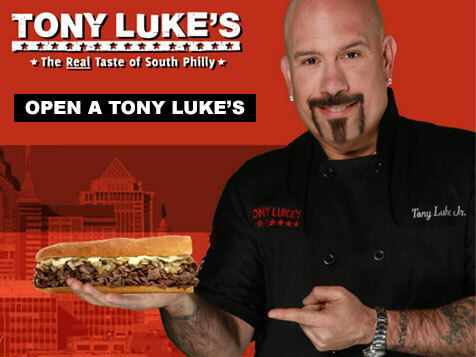 Tony Luke’s versatility has allowed stores to be successful in sporting venues, malls, stand alone stores, hotels, etc. Learn more about the Tony Luke's franchise opportunity today. Tony Luke’s is a sandwich shop that specializes in Philadelphia favorites including cheesesteaks, roast pork sandwiches and chicken cutlets. Tony Luke’s award winning sandwiches are always cooked to order and served on freshly baked bread. ? 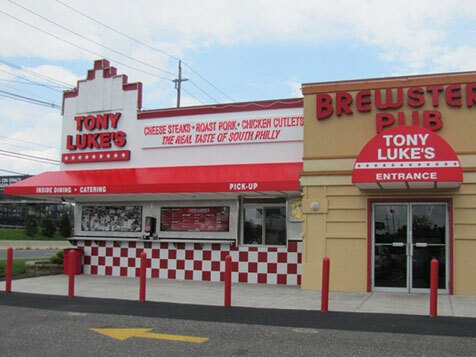 Founded in South Philly in 1992, Tony Luke’s has since turned into an international sandwich destination with 22 stores currently open in Bahrain and the Mid-Atlantic region. Tony Luke’s brings the real taste of South Philly to sports arenas, casinos, stand-alone stores and in-line retail stores. In a city crowded with sandwich shops and the birthplace of the cheesesteak, Tony Luke’s is a standout and Philadelphian favorite. 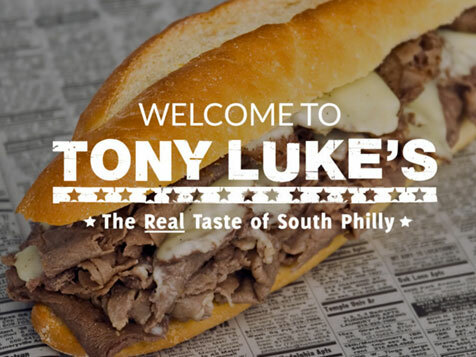 With almost too many local, regional and national awards to mention- it’s no joke that Tony Luke’s takes sandwiches seriously. 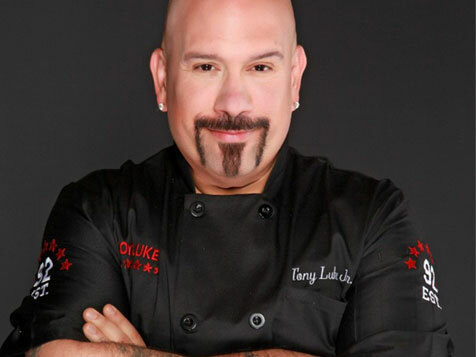 Tony Luke’s appeals to all demographics, has national and global distribution, low cost conversion and uses the ‘farm-to-family’ ingredients that customers are looking for. 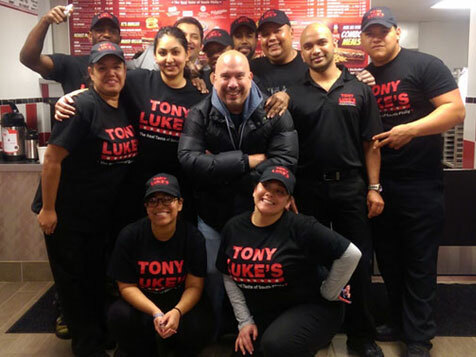 An iconic owner and face behind the brand, Tony Luke Jr., takes Tony Luke’s from a humble sandwich shop to a nationally recognized name. Tony Luke’s currently offers franchise opportunities to qualified operators with QSR (quick service restaurant) or fast casual experience. 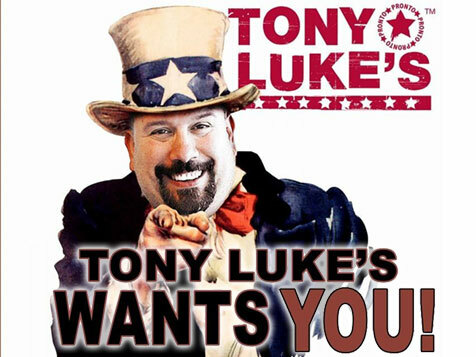 We are looking for people who can live and operate by Tony Luke’s core values which include: honesty, a positive attitude, passionate and loyal. 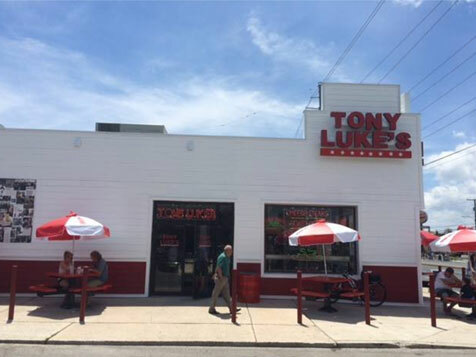 If you are outgoing and you have sales, marketing, and/or management experience and you are results oriented, please inquire and find out more about the Tony Luke's opportunity today.